A Daily Reader for Busy Parents and Their Children . . . The above pictures have lotsa info about the book: The first one is the front cover. The second is the back cover. The others are uncorrected galley pages, so they might have errors, but they give you a good idea of the content. All copies are signed, but if you want your book signed personally to you, let me know, when ordering, the exact name I should sign it to. If this is a gift, I am happy to ship directly to its recipient, as long as it is a U.S. address ( except U.S. military addresses, unfortunately). When ordering, just give me their name and address. If you want, I will also enclose a note from you: Include its exact words when you order; I will print them exactly as is and put the note in the package. Wonderful book! With just a few minutes in the morning I can make sure I am passing along important lessons and spiritual tenants to my children in a relaxed way. These lessons are multilayered and applicable right away. 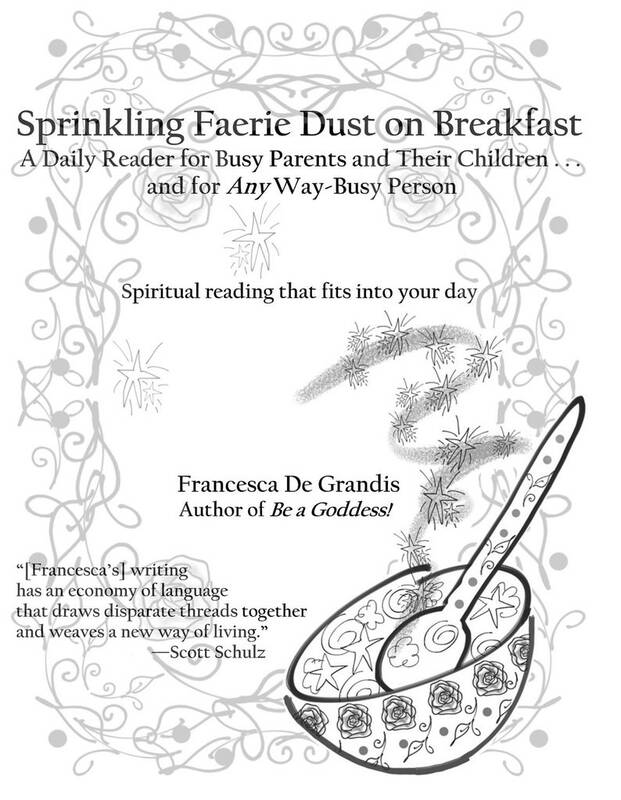 Love Francesca's works and grateful for this tool that helps me share deep insights with my children.